Tenikwa Wildlife recently rehabilitated 10 little penguins and finally released them back into the wild on the 11th November surrounded by 100’s of supporters and penguin loving spectators. 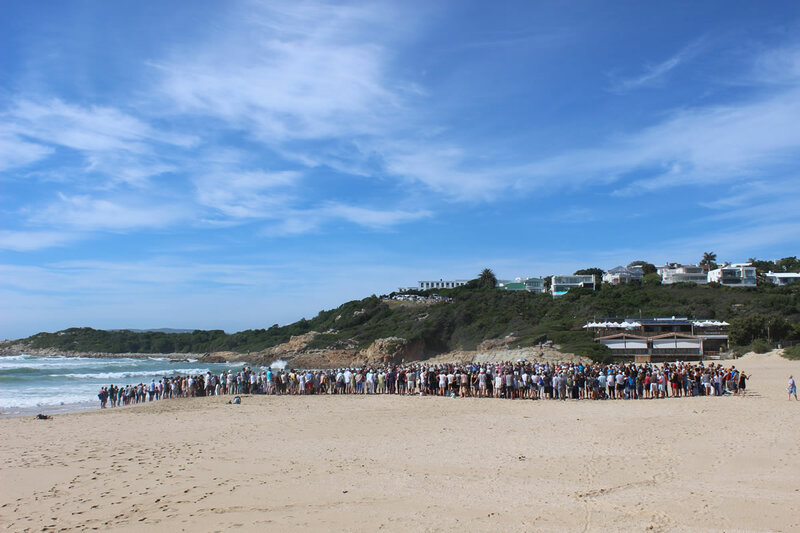 The penguins were released on Plett’s Lookout Beach (recently awarded Blue Flag Status) and the little birds, in a tight group waddled down to beach before gliding out to sea. It was the second successful penguin release this year in co-operation with Nature’s Valley Trust and Birdlife South Africa. Spectators commented on how heart warming it was to see that these penguins had been declared well enough to be re-introduced back into the wild.